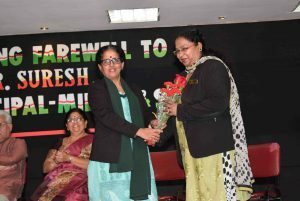 Bhavans family bids adieu to a veteran vice principal. 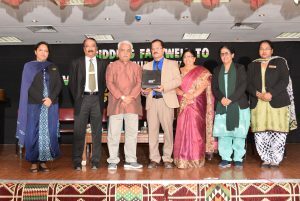 Mellow was the day, moist were the eyes, and damp was the air as an emotional farewell was organized on April 11, 2019 by the Staff Club of Bharatiya Vidya Bhavan, Kuwait to honor Mr. Suresh V Balakrishnan, the vice principal, middle and senior wings, as a token of reverence and gratitude to his inspiring and fruitful tenure at Bhavans Kuwait. Mr. Suresh V Balakrishnan was transferred to PIES- a sister concern of Bhavans Kuwait in the same capacity. 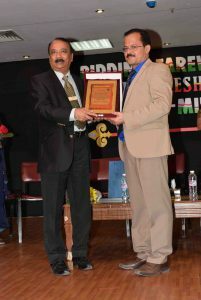 The pale lighting and the evergreen Bollywood number ‘ Ye dosti’ played in the auditorium created a perfect ambiance with a befitting musical tribute to a revered teacher and a teacher-trainer par excellence whose untiring enthusiasm and deep commitment not only helped the institution grow exponentially but also instilled a sense of dedication in the minds of many. 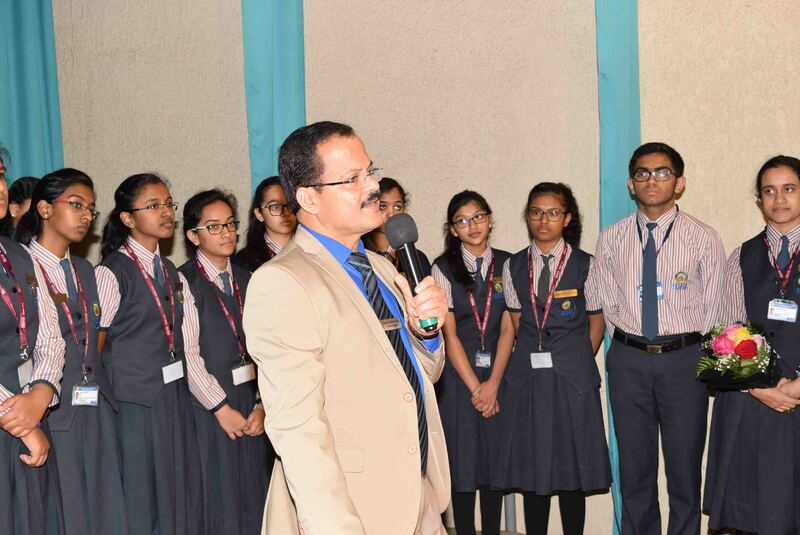 Mr.Suresh V Balakrishnan was accorded a warm welcome through a standing ovation by the gathering that comprised the teachers of the primary, the middle, and the senior wings of Bhavans Kuwait as he was ushered to the school hall accompanied by the eminent presence of the chairman, the principal, and the vice principals of Bhavans Kuwait along with Mrs. Rathi Raveendran, the principal, Jack and Jill. 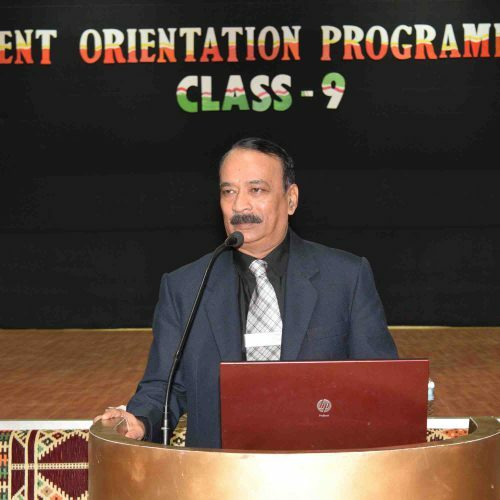 Mr. T. Premkumar, the principal, Bhavans Kuwait in his speech recounted the myriad contributions Mr. Suresh V Balakrishnan had made during his eleven-year long tenure and how he touched the many lives he intended to mold. 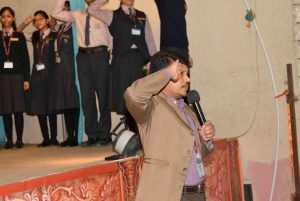 The principal was all praise for the perseverance and workaholism of the outgoing vice principal. He added that he was not only an excellent teacher but an able administrator with a ‘go-get’ attitude. 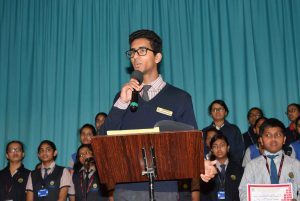 Mrs. Rathi Raveendran, the principal, Jack and Jill, Mangaf also extolled the contributions of Mr. Suresh. V. Balakrishnan in her short but emotionally charged speech. It was the turn of Mrs. Lalitha Premkumar, the vice-principal, the kindergarten and the primary wings. 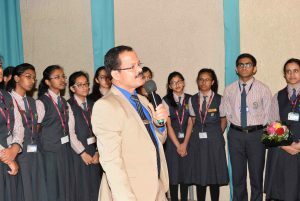 Mrs.Lalitha Premkumar also recalled many significant moments that spoke highly of the leave-taking vice principal and his inspiring work culture. 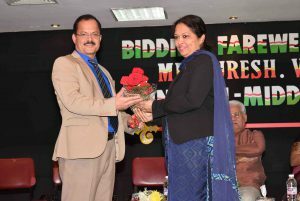 She also presented Mr.Suresh V Balakirshnan a painting as a gesture of appreciation to him. She also felicitated the newly-appointed vice principals Mrs. Tessy and Mrs. Jaemi by presenting them beautiful paintings. 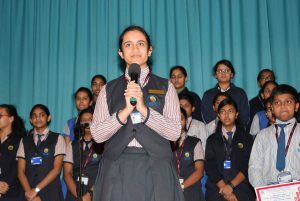 The new vice principals who assumed office on the same day assured the gathering in their meaningful opening addresses that they would carry forward all the unfinished tasks of the former vice principal with the same vigor and zest as displayed in abundance by their predecessor. A rain of mementos followed next. 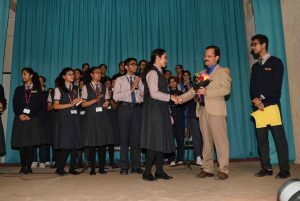 Mementos were presented to Mr. Suresh V Balakirshnan by many. Mr.N.K.Ramachandran Menon, the chairman, Bhavans Kuwait also presented Mr. Suresh V Balakrishnan a memento as a gesture of appreciation. 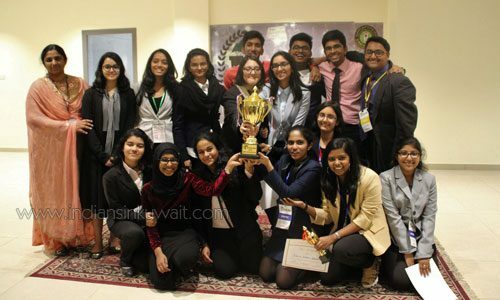 The address of the outgoing vice principal saw him go through a flurry of overpowering emotions as he reminisced the time,he joined Bhavans Kuwait in the year 2008. He thanked the staff and his superiors for being with him through the thick and thin of his eventful journey in Bhavans Kuwait. While handing over the reins to his successors, he sounded like a proud father after a rewarding sojourn. He wished Mrs. Anselma Tessy Gonsalves and Mrs. Jaemi Byju, the new vice principals of Bhavans Kuwait the very best in their pursuit of perfection. A short film made by Mr. Sunil, the multimedia maven of Bhavans Kuwait as a tribute to Mr. Suresh V Balakrishnan was played in the auditorium and was well received by the gathering. 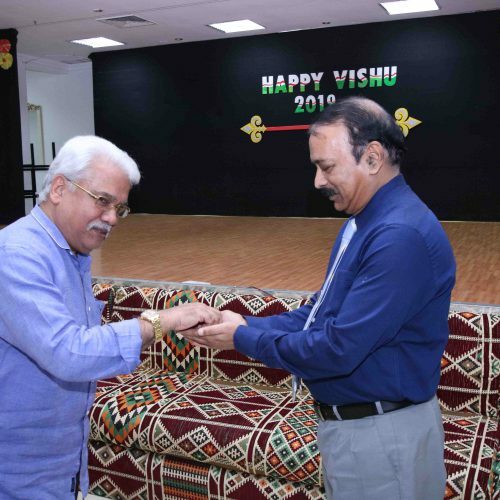 The Bhavans Kuwait fraternity thanked Mr. Suresh for his contributions and wished him a blissful journey ahead with plentiful accomplishments and unparalleled success. Disarming smiles, warm handshakes, photographs, and selfies galore attested the overwhelming love and respect received by a self-made man in the towering temple of learning- Bhavans Kuwait.